Great vehicles are just a short drive away at Ressler Motors. Whether you are looking for a car, truck, or SUV, we have the vehicles that you know and love at prices that are too good to pass up. Whether you live in Livingston, Bozeman, or the surrounding area, the drive is always worth the trip to browse our excellent selection. Work with our friendly and courteous sales staff, and drive away happy with a great deal on your next new vehicle. New, used, and certified pre-owned, we have them all ready and waiting for you at Ressler Motors, so stop by and put us to work for you today. When it comes to great vehicles, there is no end to the selection that you will find at Ressler Motors in Bozeman. Chevrolet, Cadillac, Toyota, and many more that are sure to be exactly what you are looking for are here waiting for you. To see if what we currently have in stock fits what you are looking for, you will find a plethora of easy to follow information and tools to help you browse only for vehicles in your parameters. As always, we would be more than happy to help you out if you are in the neighborhood. Stop by our lot, and experience the way that car shopping was meant to be at Ressler Motors. If you are looking for an outstanding deal on your next used car near Livingston, look no further than Ressler Motors. At Ressler Motors, you will find a wide selection of used vehicles that will meet any need that you may have and any budget that you may be working with. Whether you are trading in your current vehicle or shopping for your very first, getting a great deal on your new vehicle is a breeze at Ressler Motors. 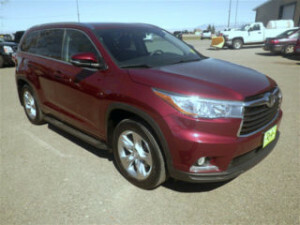 Learn more and check out our current selection on our automotive sales lot in Bozeman today.